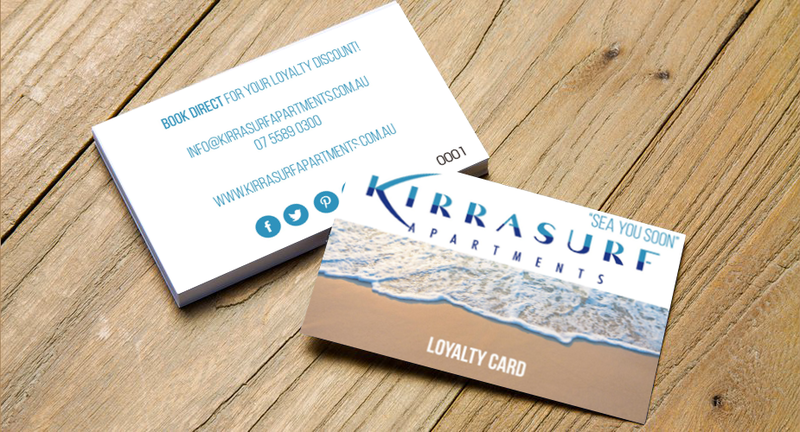 Browse the Kirra Surf Apartments frequently asked questions by selecting a category below. If you have a question that is not listed, please contact us. If BALANCE IS PAYABLE 14 DAYS PRIOR TO ARRIVAL by either cash/EFTPOS you may be asked to provide a credit card authorisation or imprint when you check-in. This authorisation may be used to cover incidental items including but not limited to telephone charges, security bond or deposit for any breakages or damage incurred during your stay or cleaning charges in excess of the normal level of cleaning. Where a credit card is not available a minimum $200.00 cash deposit will be required upon check-in. Upon departure your apartment will be checked by a staff member before authorisation of return of monies. Yes, please contact reception to arrange. Yes, at the discretion of management/or on availability. Q: When do I have to pay the deposit? All bookings require a deposit of 30% in low/mid/high seasons immediately to confirm your booking. If paying by direct credit a maximum of 24hrs applies for receipt of payment. A confirmation letter will be sent advising dates of reservation, number of people and balance payable. BALANCE IS PAYABLE 14 DAYS PRIOR TO ARRIVAL. Confirmation will be issued by email or by mail. Our office hours are 8:30am to 5:00 pm Monday to Friday, 9:00am to 4:00pm on Saturday and 9:00am to 12:00pm on Sunday. Public Holiday times might vary, please check with resort. Yes, we have a tour desk with a large display of brochures for your convenience. Yes, there is a Wi-Fi in all rooms - offer 500mb per day. We offer Babysitting/Child Minding Services, BBQ Area, Business Centre, 24hr Gym /Fitness Room with 2 treadmills, exercise bikes and an all in one weight machine, Lift / Elevator, Non-Smoking Rooms, On-Site Restaurant, Sauna, Swimming Pool & Tour Desk. Yes, secure underground parking car spaces are allocated to residents and holiday-makers in Kirra Surf Apartment’s secure basement car park. Entry is restricted to those in possession of an electronic Kirra Surf Apartments security tag. Yes, for bookings of 8 – 14 days, a service will be provided with a change of linen mid-way during your stay. For longer stays this service will be provided on a weekly basis. Yes, our swimming pool is a heated horizon wet edge pool. The opening hours are from 8.00am to 8.00pm. Swimming pool is 0.4 metres in shallow end and 1.2 metres in deep end and it's size is approximately 10 x 10 metres. We have a great range of dining options within walking distance, such as the North Kirra Surf Club, Garlic Kiss, Kirramisu, Tupe Aloha, Burger Lounge, My Gelato - all within 5 -10 minute walking distance. Kirra Surf Apartments is ideally located overlooking the beautiful golden sands of Kirra Beach on the more peaceful southern end of the Gold Coast. We are located at the Northern end of this protected, idyllic surfing oasis. Our Coolangatta apartments are just a stone’s throw from the North Kirra Life Saving Club and a short stroll from a great selection of alfresco cafes and restaurants. The Gold Coast boasts a variety of other attractions including the Gold Coast Arts Centre, Oasis Shopping Centre, Conrad Jupiters Casino, Pacific Fair Shopping Centre and the Gold Coast Convention and Exhibition Centre. Kirra Beach is directly across the road. Other patrolled beaches nearby include Bilinga, Coolangatta Beach, Rainbow Bay and Snapper Rocks all within walking distance. The Strand Coolangatta has a Woolworths and an Aldi. Q: How far away is the Coolangatta (Gold Coast) Airport? The Gold Coast Airport is just 5 minutes away by car.